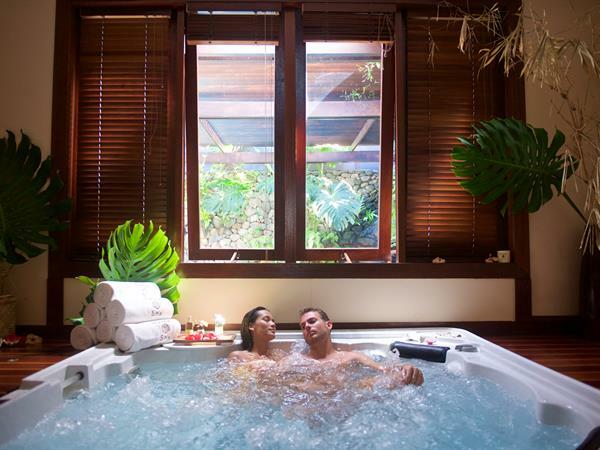 The Manea Spa was conceived and built in the pure tradition of Polynesian well-being and traditions. Ever since ancient times, massage has always been part and parcel of the traditional medicine, philosophy of life, ancestral practices and customs...called TAURUMI in Tahitian. At the Moorea Pearl Resort & Spa, the ochre-hued stone bungalows are custom designed as massage rooms for traditional Polynesian treatments. A special feature is the outdoor double Jacuzzi's.